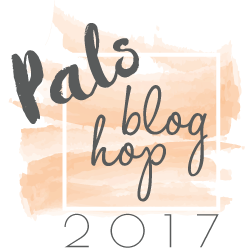 Pals Blog Hop – Wicked Folds are here! This card was made from a 12″x12″ piece of cardstock with the center cut out on the diagonal. The card opened is 17″ from point to point and closed it measures 3.5″x6″. I cut a slit in the left side of the front to tuck in the right side when closed. 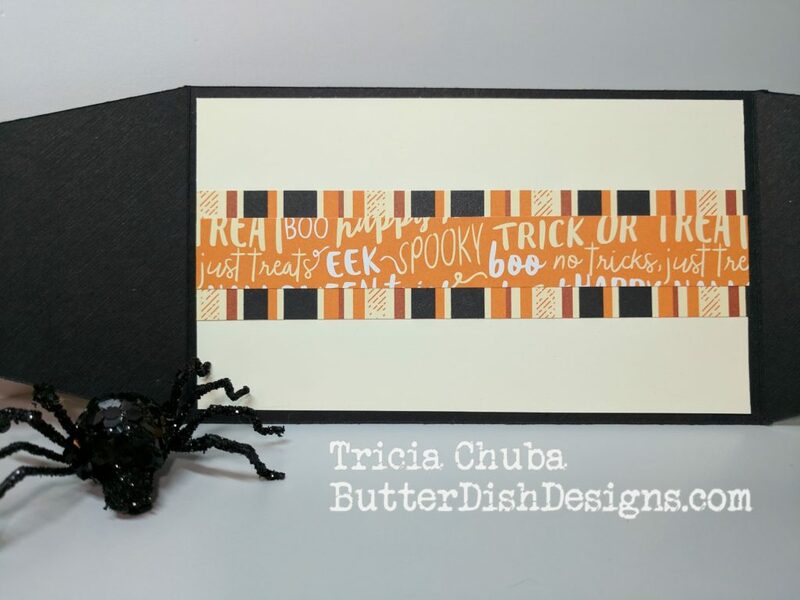 This entry was posted in Halloween, Pals Blog Hop and tagged ButterDish Designs, Holiday Catalog 2017, Pals Blog Hop, Stampin' Up!. Bookmark the permalink. 10 Responses to Pals Blog Hop – Wicked Folds are here! I love this card Tricia! Great job and so creative. Such a fun card, Tricia! 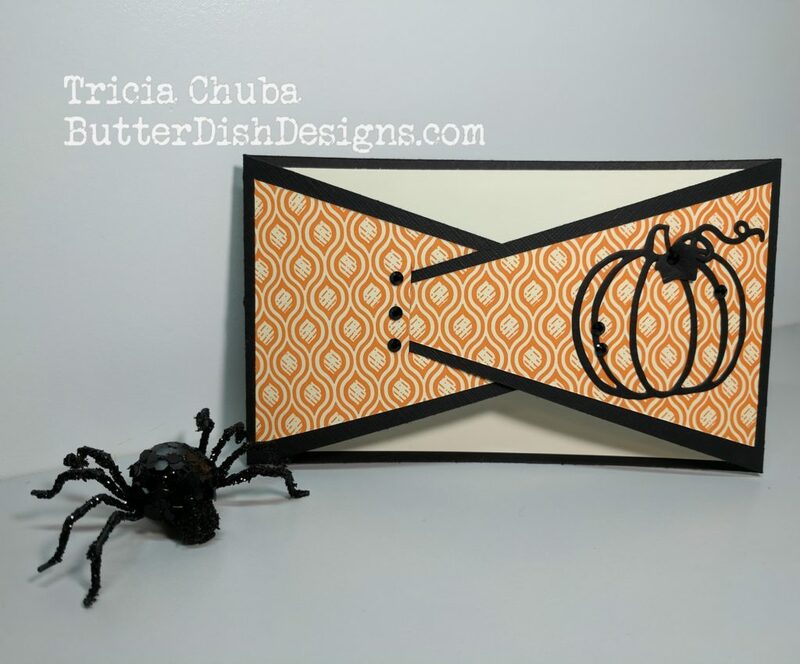 I love the black pumpkin on the orange paper too! Wonderful, spooky fold! 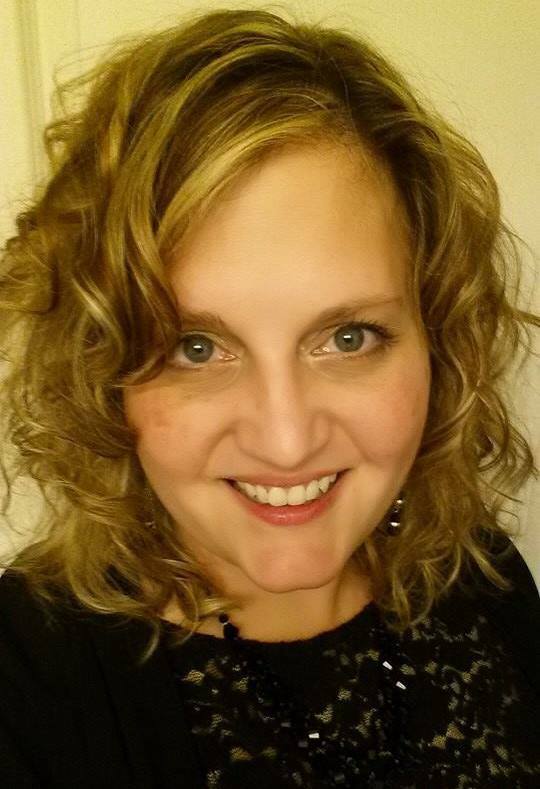 Thanks for sharing, Tricia! I love this unusual fold! Wow!! It is wonderful! I love how the one side tucks into the slot on the other side; very clever. I love how you used the DSP as a greeting on the inside! Clever! Wicked cool fun fold! 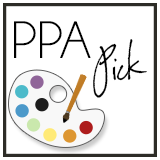 This is really wicked, Tricia. Very clever use of the DSP. This is a fun card. Adorable! This card is awesome and unique! Fantastic fold Tricia! I love the idea of using designer paper for the greeting. Genius!